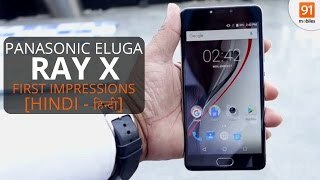 Meet the Panasonic Eluga Ray X – the smartphone that’s not just incredibly smart but also powerful. 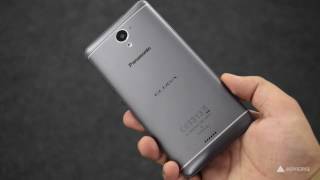 Stay in vogue all the time with the Panasonic Eluga Ray X. This smartphone features a stunning metal body that adds shine and elegance to your personality. Get a theatre-like experience at home, in the bus, or anywhere you are as this smartphone offers breathtaking visuals on its 13.97 cm (5.5) screen, thanks to its HD IPS display technology. Tired of your phone slowing down every time you open a large app? With the Panasonic Eluga Ray X, you won’t face any lag as it’s powered by a 1.3 GHz quad-core processor and 3 GB RAM which ensure smooth and fast performance. Movies, photographs, videos, and everything else can be stored on this phone’s 32 GB internal memory without worrying about running out of space. If you want more room, you can expand the storage space by up to 64 GB. Capture the beauty around you with this Android Marshmallow phone’s 13 MP rear camera. With its 5 MP front camera, you can capture beautiful moments you share with your friends without leaving out anyone as the Wide-Selfie shot expands the frame. Thanks to the Panasonic Eluga Ray X’s fingerprint scanner, you can store and secure all your confidential data easily. Go all day long, doing what you enjoy the most, without worrying about running out of charge as this phone is powered by a 4000 mAh battery. To make your life simpler and easier, this Panasonic smartphone comes with Arbo – the AI and your virtual assistant that learns you and your behaviour.